I’ve been fortunate enough to visit many different types of libraries around the world and I really enjoy the architecture and design of today’s modern libraries. Many libraries today are striving to be innovative and cutting-edge though the design of their buildings as well as their services and resources. Here are ten libraries that look as if they have been transported back from the future. 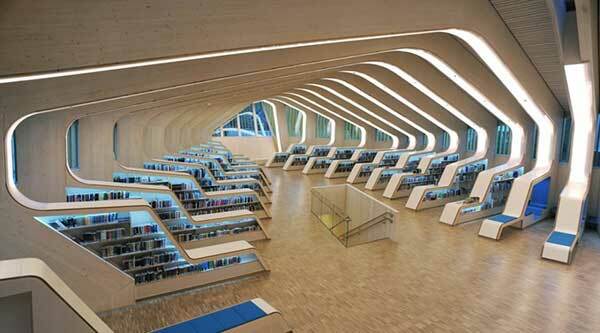 Located in Vennesla, Norway, the Vennesla Library and Culture House looks like something out of a futuristic sci-fi movie. 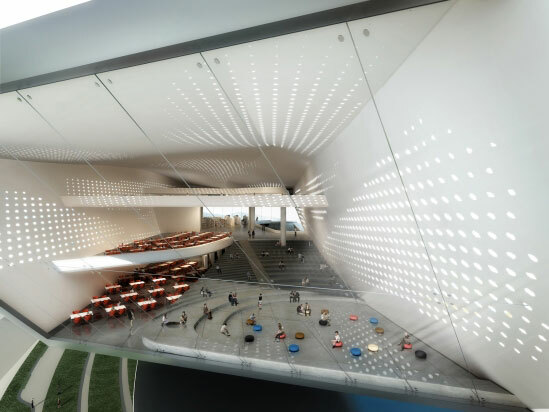 This unusual space contains a library, a café, meeting spaces, administrative areas, and links to an existing community house and learning centre. More coverage here. The Library at the University of Chicago has been designed to maximize the physical space in the library sporting an 8,000-square-foot main reading room under a glass paneled dome. 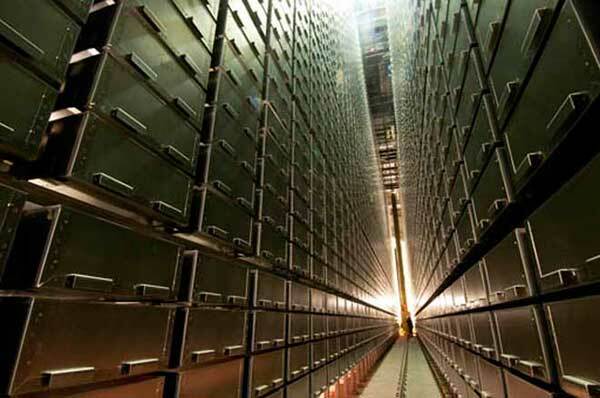 But keeping scholars in mind, the library has a massive underground storage facility holding 3.5 million volumes which are retrieved by by robotic systems. More coverage here. 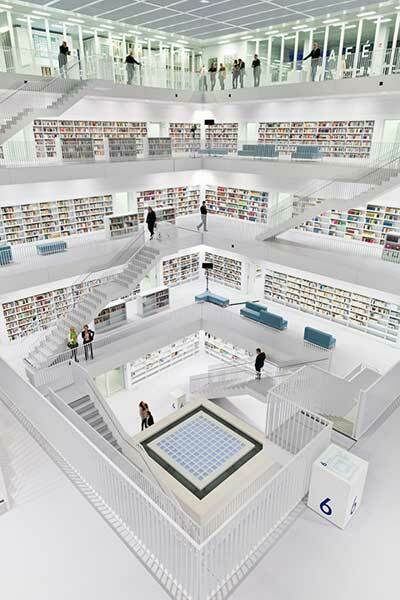 The Stuttgart City Library is a stunning new media center located with a five-story atrium and an all-white interior. 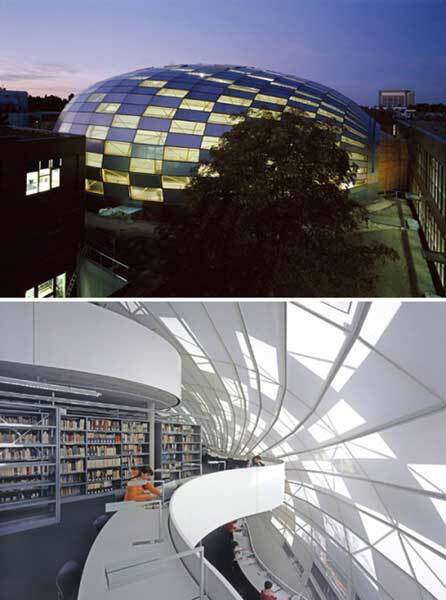 This futuristic-looking library is located in Stuttgart, Germany. More coverage here. 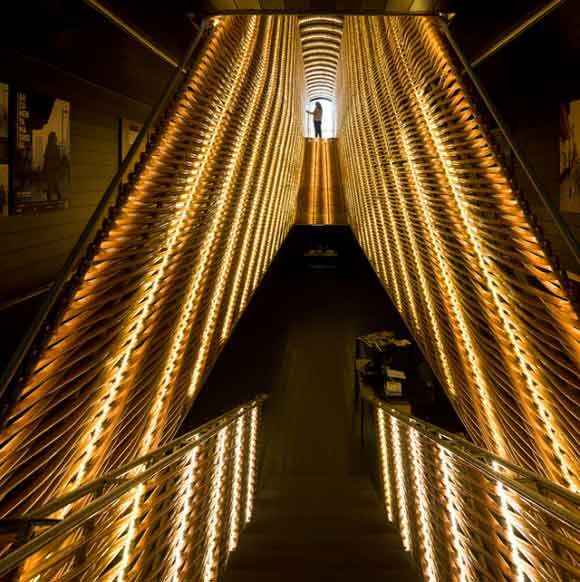 Dark walls and flooring in the interior of the Matadero Theater and Library are illuminated by bright lights set in contrast for a dramatic effect. This incandescent library is located in Madrid, Spain. More coverage here. Located on the campus of the Free University of Berlin in Germany, the Philological Library was designed in the shape of a human brain by architect Norman Foster. The library’s collection is over 700,000 volumes. More coverage here. 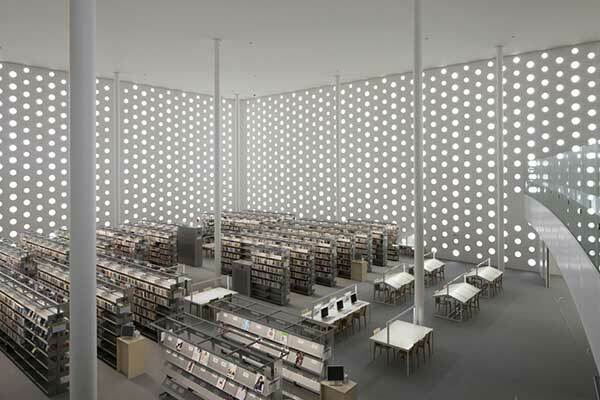 Located in Kanazawa, Japan, this stunning library building is perforated with 6,000 holes in its concrete exterior which are filled with glass to provide natural light to its 12 metre-high reading room. More coverage here. 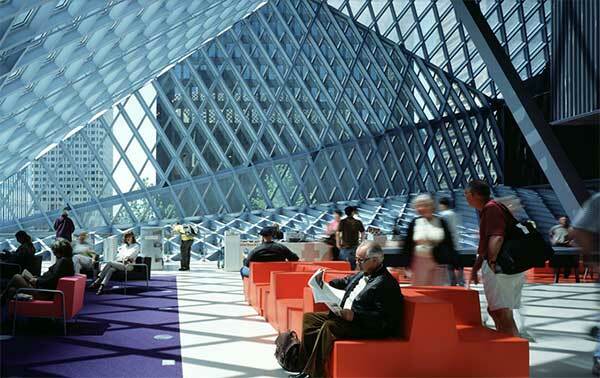 Seattle Public Library’s Central Library branch is a stunning 11-story, glass and steel information mecca. With over 1.5 million books in its 4-story “Books Spiral”, 400 public access computers, automatic book sorting and conveyance, and self-checkout for patrons, Seattle Central embodies the idea of the modern library. I had a chance to visit this library last month while attending the AALL Annual Conference and it was absolutely breathtaking. More coverage here. Located in Dalian, China, this modern library was designed to weave itself into the surrounding ground area in order to root itself and create a series of courtyards and topographic undulations, drawing visitors in to its unique environment. More coverage here. 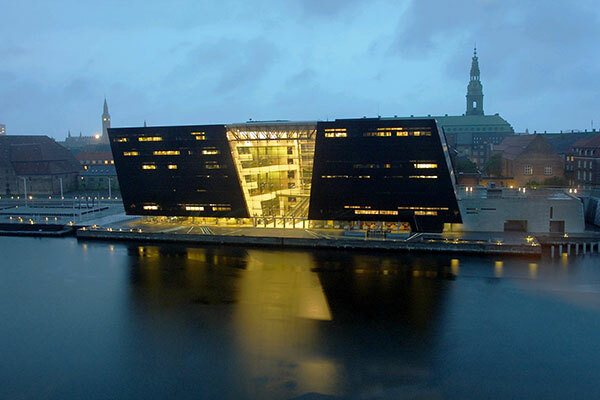 An extension of the Royal Danish Library, the largest library in the Nordic countries, the Black Diamond sits on the waterfront of Copenhagen. The black granite exterior reflects the water of the harbor and it absolutely stunning. I was lucky enough to visit this library when I was in Copenhagen, and it’s a sight to see! More coverage here. 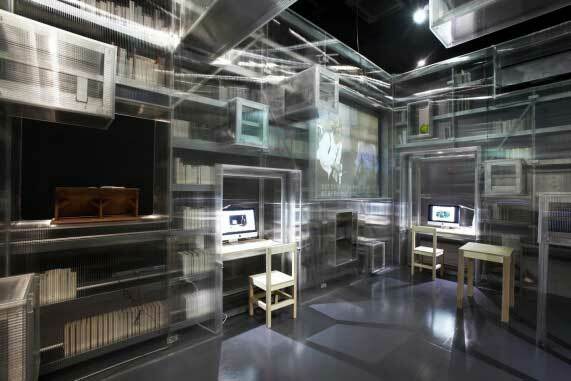 Made up of cubes of transparent blocks, the Nam June Paik Library in the Nam June Paik Art Center in Yong-In, South Korea holds 3,000 books and exhibition catalogues as well as periodicals and audio video materials. This unusual space houses reading areas, computer stations, video screens and book shelves, all of which are incorporated into the library’s transparent blocked walls. More coverage here.